These college buddies can count an NCAA final or two among their ranks, but talent won't be their problem, it's the ratio of beer to hockey that will determine if they will finally see their names carved into WinnipeHockey's Cup. 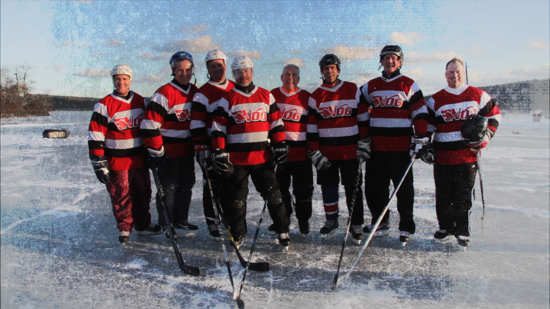 Anchored by Bruce Crowder, former NHLer, team Essex 73's may be re-living their glory days out on the ice, but as new members of the 50+ division, they're certainly not going down without a fight. 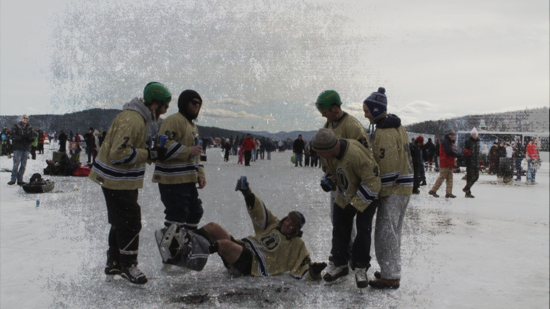 They may not be the best players on the ice, but they are the best drinkers. 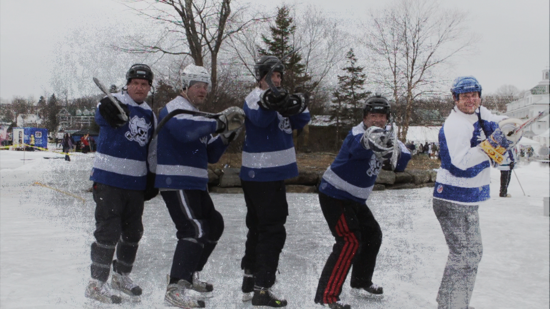 Self-proclaimed winners "off the ice," these high school buddies (unable to make other friends as adults), will attempt to win one game and avoid getting arrested. 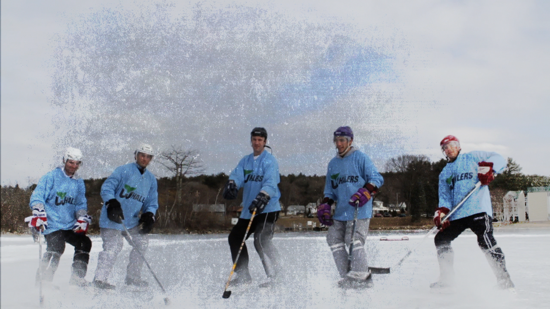 Tournament "sweethearts" Nog may be the pond hockey equivalent of "most popular kid in school," but can they use their beverage of choice to their advantage and finally make it to the playoffs? They may be the out-of-towners, but what this group of Washington DC "insiders" lacks in New England accents, they make up for in pure love of the game. But can they hack it without home ice advantage? For "climate doctor" Cameron Wake, Phd., its all about the ice. 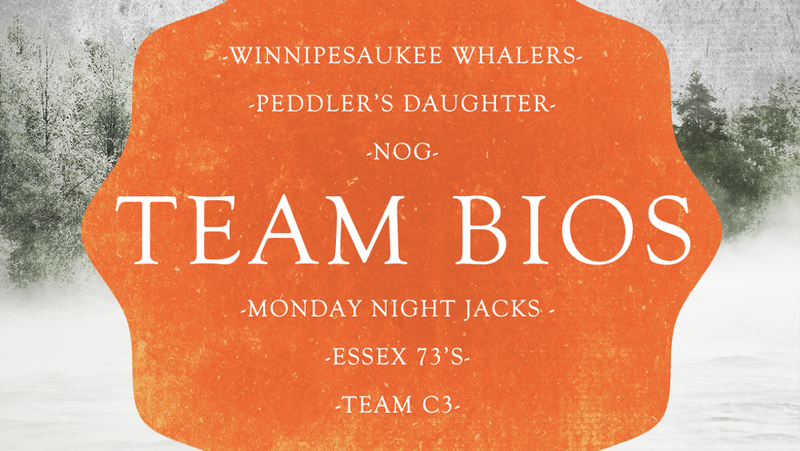 When he's not extracting ice cores from the Alaskan wilderness, he's out there on the ponds. 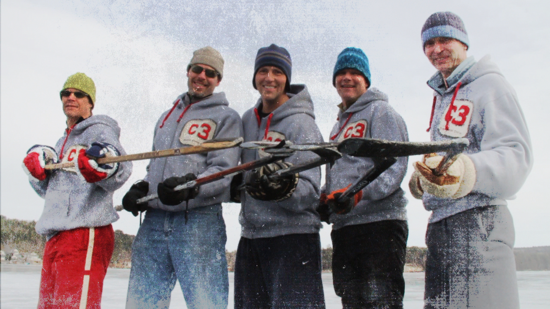 To Cam and his team, the culture behind pond hockey and New England winter is everything, and that culture is at risk. 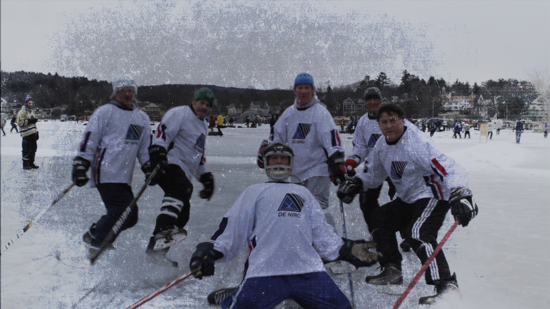 ©2019 Pond Hockey Classic / SportsEngine. All Rights Reserved.